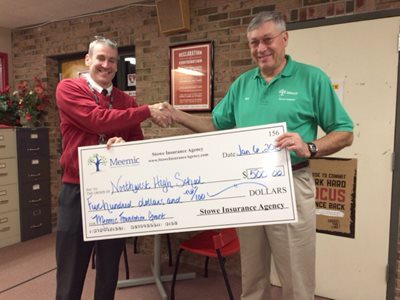 Bob Stowe of the Stowe Insurance Agency in Jackson, MI, presented Northwest High School principal Scott Buchler with a Meemic Foundation Grant. The money will be used to send teachers to technology training. Scott is one of Bob’s former students.